Hip osteoarthritis is a painful and disabling disease and today the most common reason for surgery with artificial hip replacement, i.e. a total hip arthroplasty (THA). This is generally a successful operation and is done in increasing numbers. Worldwide about 1,4 million THAs are performed annually, and in a small country like Sweden almost 16.000 are done each year. Indications for surgery have gradually widened with younger patients being considered for surgery. This puts higher demands on the surgical results and the longevity of the prosthesis. The objective with THA is to relieve pain and enable the patient to get back to normal activity again. In order to achieve that with lasting results the goal is to restore a normal anatomy and optimize hip biomechanics. Choosing the wrong implant or malposition of the prosthesis during surgery can lead to hip dislocation, component wear, leg length discrepancy, bone stock loss, limp and pain for the patient, and eventually premature loosening of the prosthesis. Such THA failure often requires a reoperation, which is demanding surgery with high risks of complications and furthermore costly for society. 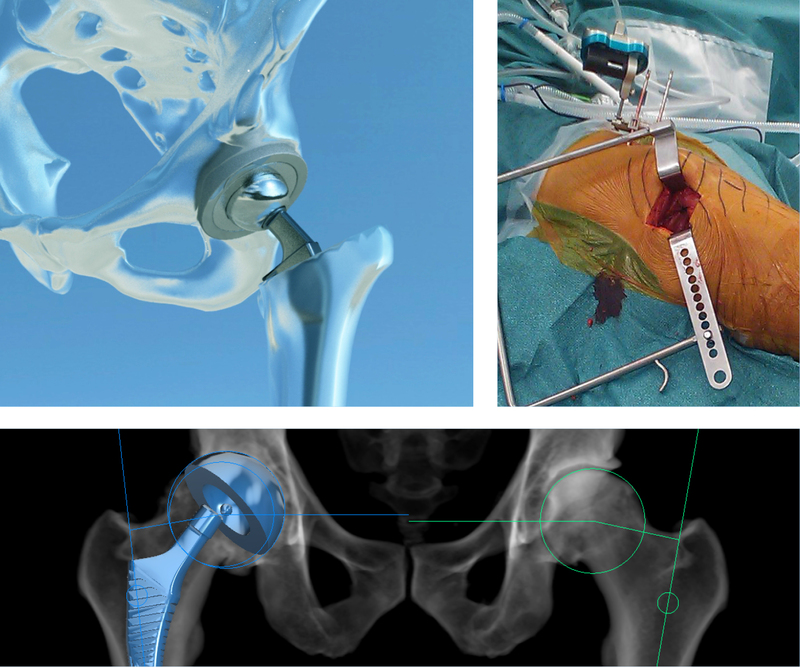 Today research in the field of arthroplasty explores ways of securing the surgical results by optimizing implants, preoperative planning and not least the actual surgical procedure in order to help the surgeon get as good and long lasting result of the THA as possible. Means of doing preoperative planning of the surgery on radiographs, today available in 2-D, are becoming compulsory. Navigated assisted surgery is on trial to increase the surgical precision. We believe that in the near future the surgeon will demand the possibility of planning more realistically in 3-D, and with the possibility to link that result directly to instrument guided navigational support during surgery. Our goal is to make Ortoma Plan the obvious choice for surgeons wanting to optimize the use of preoperative planning, of linked guided surgical tools and accurate postoperative follow up.